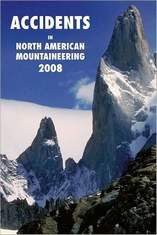 The American Alpine Club just announced the release of their new publication, Accidents in North American Mountaineering, 2008. 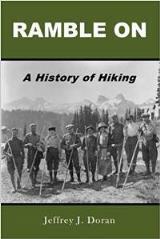 As the year in the title might imply, this is an annual handbook that offers detailed reports of climbing and mountaineering accidents that occurred in the United States and Canada during the prior year. Accidents in North American Mountaineering details what happened and analyzes what went wrong in each situation to give mountaineers the opportunity to learn from others' mistakes. From inadequate protection, clothing, or equipment to inexperience, poor judgment, or simple ignorance, the errors recorded in this book are invaluable safety lessons for all climbers. The American Alpine Club’s annual series is considered to be the best resource for finding out what really hurts, cripples and kills people involved in mountaineering. You'll read real case studies of how to avoid problematic issues when in the wilderness or in mountainous terrain. Each accident, delivered in simple language, carries with it the ominous tone of, "Don't let this happen to you." If you would like more information or would like to purchase Accidents in North American Mountaineering, please click here. A few months ago I wrote an article regarding the eastern hemlocks and how they're being threatened by a tiny insect called the hemlock woolly adelgid. More than 95% of the hemlocks in the Smokies already have adelgids, which, if left untreated, will die in just a couple of years. Yesterday, I discovered a series of videos produced by the Great Smoky Mountains Association which they've put together to explain what the adelgid problem is and what's being done to save the trees. The films are interesting in that they show what the biologists are doing to treat the trees in order to fight the insect. Although there are three films in this series, there is less than 8 minutes of total film time (I'm not sure why they just didn't make one film, oh well). Below is a short video from MountainZone.com that offers tips on selecting outdoor clothing for rainy weather. The video explains the differences between waterproof rain gear and Gore-Tex rain gear. It also gives a short review on using ponchos. Selecting the right clothing will help you stay dry on the trail when the weather takes a turn for the worse. Having proper rain gear is absolutely essential when heading into the backcountry. It’s a piece of gear you should have in your backpack throughout the year, regardless of the forecast. A wet hiker in the mountains or deep in the backcountry can quickly turn into a hypothermic hiker. If you’re in the market for new rain gear, let me offer a couple of suggestions. If you wish to purchase a complete rainsuit, check out the Ibex Rainsuit from Columbia Sportswear. Columbia Sportswear guarantees that the Ibex Rainsuit will keep you dry in the most torrential of downpours. Constructed of 100% waterproof PVC with welded seams, the Ibex's authentic fit and 100% nylon backing will keep you as comfortable as can be while front and back mesh vents provide a bit of ventilation. This rainsuit isn't breathable, but it is extremely functional. Ibex Rainsuits have an attached hood that comes with a visor and drawcord. They also have a snap-closed storm flap over the front zipper, and an open bottom with a drawcord. The Ibex Rainsuit is available in both men’s and women’s sizes, and are sold at very reasonable prices. 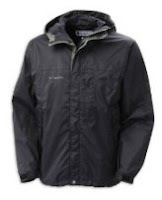 If you only need a jacket, I highly recommend the Columbia Sportswear Thunderstorm Jacket. Several months ago I purchased the Columbia Sportswear Thunderstorm Jacket. So far, I’ve had only one chance to wear it. It did, however, receive a fairly good test on that one occasion. I was hiking in the Flattops Wilderness Area in Colorado this summer when we got caught by a surprise thunderstorm which forced us to hike four miles in steady to heavy rain. My upper body remained completely dry and I never felt chilled from the cool breeze. I was very pleased with the performance of the jacket and was happy that I made the upgrade from a competitor product. The Thunderstorm Jacket is a waterproof, breathable jacket which also resists internal condensation, allowing you to stay dry in any conditions. The Omni-Tech technology provides premium waterproof/breathable protection by using microporous membranes which keeps water from penetrating the fabric, yet allows perspiration to escape. Columbia also seals all seams on the jacket. If you decide you ultimately want to go the poncho route, check out the Equinox Nylon Poncho. This might be a good option if you need to throw something over yourself and your backpack if caught in a surprise storm. Keep in mind though, if the storm includes wind, it can be difficult keeping the poncho from blowing around. Furthermore, the poncho won’t keep you warm should temperatures drop. Made from extremely water repellent 1.9 ounce urethane coated rip-stop nylon, the Equinox Nylon Poncho includes an additional 14 inches of coverage in the back of the poncho to allow for backpack protection. Integrated snaps allow the extension to be folded neatly in place and out of your way when you aren't wearing a backpack. The full cut of the Nylon Poncho is longer than regular ponchos designed to provide full protection. A comfortably-sized hood draws snug to further protect against wind and precipitation. Reinforced, rust-resistant snaps form openings at the wrist and secure the sides of the Nylon Poncho. For more in-depth information on any of the products discussed in this article, or to see the full selection of all our rain and hiking gear, please visit the Smoky Mountain Day Hikers Store. The folks at Marmot are saying that their new Wool Half-Zip is “a glimpse into the future of base layers.” When you consider that they’re using coconuts in their design you may have to conclude that they might be onto something. The Marmot Wool Half-Zip uses a unique combination of natural and synthetic fabrics that provide impressive warmth and comfort. The cold weather top employs the latest version of Polartec Power Dry, which uses soft-spun wool on the outside layer that is designed to keep you warm even when wet. The wool outer provides insulation from the elements and pulls moisture away from the body. The inside layer is made from polyester, which Marmot describes as being highly breathable and comfortable next to the skin. 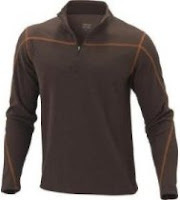 What makes the Marmot Wool Half-Zip unique, however, is that the polyester fabric is fused with fibers derived from coconut husks. These fibers, known as Cocona, increase wicking ability and offers more odor control and sun protection than any other brand of performance fabric. Cocona is derived from would-be discarded or “upcycled” coconut shell husks. The husks are then processed into activated charcoal carbon and blended into a polyester matrix, which is spun into a fiber and then knit into a base layer fabric. Cocona is integral to the fiber, is naturally occurring and cannot wash or wear out. Cocona dries incredibly fast, controls odor naturally without the use of anti-microbial treatments, and provides UV protection (rated UPF 40+), all the while providing outstanding comfort and naturally enhanced performance that lasts a lifetime. The Marmot Wool Half-Zip is machine washable and is available in both men’s and women’s sizes. If you would like to see our full selection of outdoor and hiking gear, please visit: The Smoky Mountain Day Hikers Store. How's this for a kayak put-in? This guy definitely earned some major style points! North Shore Historical Tour, Wednesday and Saturdays in October. A rare chance to tour the historic sites and artifacts along the shore of Fontana Lake in the Great Smoky Mountains National Park will be offered by Fontana Village Resort in October. The tours depart by boat from Fontana Village Marina. Visits the site of old mining operations on Eagle Creek and Hazel Creek. 10 a.m. to 2 p.m. $15 for adults and $7.50 for children. Bring a lunch and water. For more information call 828.498.2122. Waterfall Photography, Oct. 23. This program, designed for the advanced beginner who would like to take their moving water photography to the next level, will include a drive to a nearby waterfall. While not absolutely necessary, a tripod and camera capable of manual control are suggested in order to allow you to experiment with some advanced techniques. Limited to 15 participants. Ages 12 and up. Pisgah Center for Wildlife Education. Free, but call to reserve a spot: 828.877.4423. GPS For Dummies, Oct. 25. Presented by Dr. Gary Wein, executive director of the Highlands-Cashiers Land Trust. The lecture will attempt to demystify the concepts behind GPS technology and explain how it finds one’s location. 11 a.m. at the Highlands-Cashiers Hospital in the Jane Woodruff Clinic Community meeting room. For more information, call 828.862.4079 or email wildwood3@citcom.net. Animal Tracks And Traces, Oct. 26. Look for tracks, bits of food, fur, even trails laid out to favorite spots. $29. 10 a.m. to 2 p.m. Great Smoky Mountains National Park. (Meet at the Great Smoky Mountains Institute at Tremont parking lot.) Register online at http://www.outreach.utk.edu/smoky or call 865-974-0150. Below is a short video from the Dan Traveling Series showing possibly some of the last footage shot of the historic Wonderland Hotel before the National Park Service salvaged parts of it and then demolished the rest. The hotel was located in the Elkmont community in Great Smoky Mountains National Park. The Wonderland Hotel was built on land formerly owned by the Little River Railroad Company. As the area became "logged out", Little River Railroad Company President Col. W.B. Townsend began to recognize the future benefits of attracting tourists to the area. With this in mind, in 1911 he gave Charles B. Carter 50 acres of cut over land with the stipulation that he build on the land within one year. Carter formed the Wonderland Club Company and on June 11, 1912 the Wonderland Hotel opened its doors. It would stay open to the public for seven years before closing to club members only. On November 15, 1992 the Wonderland Hotel saw its last day of operation. Three years later the Hotel was partially burned under suspicious circumstances. Many people suspect that the fire was set by National Park Service employees as a means to remove the building. In 2005, the remnants of the Hotel collapsed, and the National Park Service awarded a $65,419 contract to Moran Construction of Abingdon, Virginia to begin carefully dismantling the remains of the collapsed hotel. The historically significant doors, windows, bathtubs and other artifacts were set aside for permanent preservation. For more information on current efforts to restore the historic Elkmont community in Great Smoky Mountains National Park, please click here. On October 1, 2008, Bart Smith took his final steps up to Old Faithful in Yellowstone Park. This marked the end of a very long journey in which he hiked 16,515 miles over the course of 16 years. During his incredible journey, Smith took more than 37 million steps through 34 states and shot nearly 100,000 photographs during his quest to complete all of the National Scenic Trails. During his quest, Smith became the first person to hike each of the eight National Scenic Trails: Natchez Trace, Potomac Heritage, Ice Age, Florida, Appalachian, Pacific Crest, Continental Divide, and the North Country Trail. Smith's quest began in 1991 after leaving a "good career job" to explore the world for a year. 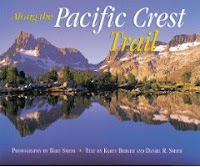 Upon his return, he and wife agreed that he would hike and photograph the notoriously difficult Pacific Crest Trail, with the goal of having a photo coffee table book published. Because Bart is color-blind, that first project took about 5 years as he spent time honing his photography skills. Four days after submitting an unsolicited book proposal, with no writer involved - just his slides, the owner of the publishing company called offering him a contract to publish his first book, Along the Pacific Crest Trail. Based on that success, Bart decided to hike and photograph the Appalachian Trail. Then on a whim, he convinced Earl Shaffer, the legendary long distance hiker, who in 1948 became the first person to complete the Appalachian Trail in one year, to join forces for his second book, The Appalachian Trail: Calling Me Back to the Hills. It covered Earl’s historic 50th Anniversary Hike of 1998, which he completed just shy of his 80th birthday. Half-way through the Florida Trail, Bart decided that he was going to hike and photograph all eight of the National Scenic Trails with the goal of finishing on 40th Anniversary of the enactment of the National Trails System Act. He dubbed his mission "Walking Down A Dream", which he hoped would inspire legions of Americans and tourists alike to explore the diverse natural wonders on the nation's wilderness trails. I highly recommend that you check out the photo gallery on his website. He has some absolutely spectacular pictures that are grouped by each of the trails he hiked. Bart has now published four coffee table books of trail photography to date, with another to be released in March of 2009 called " Along the Pony Express Trail ". His photography has also appeared on the cover of Smithsonian Magazine. In 1948, young WWII veteran Earl Shaffer did what many people said couldn't be done: He trekked the entire length of the Appalachian Trail from Georgia to Maine in one continuous journey ... walking into the history books as the Trail's first thru-hiker. In 1998, on the 50th anniversary of that hike, 79-year-old Earl did it again. In The Appalachian Trail: Calling Me Back to the Hills, Earl recalls his 1998 anniversary trip and pays homage to the Appalachian Trail through his prose and poetry, enhanced by dozens of Bart Smith's stunning photographs. Bart Smith explains that he hiked the PCT intending to photograph it along the way, and soon discovered that thru-hiking and serious photography are simply incompatible. Bart returned to the trail over a period of 5 years to capture outstanding images of the spectacular backcountry, and then asked Karen Berger to write the accompanying narrative from her own thru-hike experience. In Along the Pacific Crest Trail, Karen's narrative describes the challenges, joys, highlights, and process of walking 2,650 miles from Mexico to Canada. The PCT runs from the sere chaparral-covered mountains of southern California to the snowy heights of the Sierra Nevada to the towering volcanoes of the Cascades to the ancient forests of the Pacific Northwest. Along the way, national treasures such as Yosemite, Crater Lake, and Mount Rainier make this one of the premier hiking destination in the world. That is, there are only two weeks left if you intend to hike any of the trails along Balsam Mountain Road or Heintooga Ridge Road in Great Smoky Mountains National Park before these roads are closed for the season. Both roads are located in the Southeastern corner of the park between Maggie Valley and Oconaluftee in North Carolina. The two seasonal roads will close on October 31 and won’t reopen again until next May. Four other seasonal roads, Parson Branch, Rich Mountain, Roaring Fork and Clingmans Dome Road, will be closing in November. The Interior Department under the Bush administration is taking steps to make it easier for mountain bikers to gain access to national parks and other public lands before the president leaves office. Yesterday the National Park Service confirmed that it's preparing a rule that will allow decisions about some mountain bike trails to be made by park managers instead of federal regulators in Washington, a process that normally can take years. If adopted, the proposal would likely result in more mountain biking opportunities on public lands. The plan would eliminate public review and comment for new bike trails, which could be opened in any park area not prohibited by law. Each park manager could designate backcountry trails open to mountain bikes by making a simple notation in an internal document called a “compendium” which is available to the public upon request but receives no public notice or public comment prior to approval. Nor would a park manager prepare any environmental compliance under the National Environmental Policy Act or other laws prior to adoption. I really can't think of any trails in Great Smoky Mountains or Shenandoah National Parks where mountain biking would be appropriate (other than those that are already approved: the Gatlinburg Trail, Oconaluftee River Trail, and the lower Deep Creek Trail). For these two parks in particular, it would seem to me that problems with trail erosion as well as potential conflicts with hikers and horseback riders would be too much of a deterrent. However, I would think that mountain biking in some of the western parks such as Canyonlands, Teddy Roosevelt, or Joshua Tree, as just a few examples, would be appropriate on some of the trails within these parks. What do you think? Should individual park managers be allowed to make decisions on allowing mountain bikes on trails? Should the public still be allowed to give feedback before any changes are made to trail usage regulations? Should bikes be allowed on any national park trails? Below is a short, but helpful video from MountainZone.com that shows some of the basic techniques involved in using trekking poles and placing your feet while hiking. The video demonstrates that while climbing an incline you’ll want to take smaller steps and plant your hiking poles deeper into the ground. Conversely, when hiking downhill, you’ll want to extend your trekking poles ahead of you in order to stabilize your weight. Knowing how to use hiking poles can also help protect you from injury. They can help support you if you trip or if your foot is caught in an awkward position. If you need, or if you’re thinking about purchasing a pair of trekking poles, check out a couple of options from Leki, the industry leader for trekking and hiking poles. My wife and I have used Leki poles for several years now and we both love them. In particular, we’ve found them to be extremely helpful for our knees when making long descents. Built for strength and reliability on even the most challenging terrain, LEKI's Super Makalu Ergometric Long AS trekking poles allow you to tackle any adventure with confidence. These poles feature an ergonomic design that garnered Backpacker Magazine Editors' Choice Update Award for 2006. The poles feature LEKI's Soft Antishock System that reduces stress on the joints, muscles and ligaments. Incorporating a positive angle into the hand grips, Super Makalu Ergometric Long AS poles preserve a more neutral ergonomic position for your wrist and hand, allowing for comfort and precise tip placement. The exterior textured thermo-foam material also provides additional comfort and breathability. LEKI also introduced its new Super Lock System with this pole which allows for quicker and easier adjustments, and is up to 60 times more secure than other locking systems. The carbide flex tip deflects up to 30 degrees without damaging the lower pole section. This reduces the risk of pole breakage if the pole should get caught between rocks or tree roots on the trail. Leki’s Trail Antishock Trekking Poles are new for 2008. This is an ideal option for entry-level or cost-conscious hikers and backpackers looking for reliable performance. Trail Antishock trekking poles feature LEKI's Triple Spring Antishock System that reduces stress on the joints, muscles and ligaments. An internal spring absorbs the impact each time the pole strikes the ground. LEKI Ergo Soft rubber grips offer a comfortable, confident handhold. These poles also feature the LEKI Classic Adjustment System, allowing you to adjust the length of the poles while alternating between climbing and descending while out on the trail. If you would like to see more information on these trekking poles, or any of the other trekking and hiking poles in our selection, please visit: The Smoky Mountain Day Hikers Store. A Wilderness First Aid Course will be offered through the Carolina Mountain Club on November 15-16 at the Blue Ridge Parkway's Destination Center. This hands-on, sixteen-hour course covers a wide range of wilderness medicine topics for people who travel in the outdoors. Whether you're a hiker, maintainer, or leader, you need to be prepared for the unexpected. The Wilderness Medicine Institute of the National Outdoor Leadership School (NOLS) has a unique curriculum with topics that haven't been covered in classes previously offered through the club. After completing the two-day course, students will have the knowledge, skills and ability to make confident decisions in emergency situations. Cost for the course is $55. If you're a member of the Carolina Mountain Club as of August 7, 2008, the club will be covering half of your tuition. Please contact Cindy McJunkin at mcjfive@aol.com or 828-712-9646 for more details and to enroll. Hiking the Carolina Mountains is the definitive hiker's guide to the mountains of North and South Carolina. Published in April 2007, Hiking the Carolina Mountains takes you beyond the most well-known hikes in the region. This is the first hiking guidebook to include Dupont State Forest, Panthertown Valley near Cashiers, and Green River Game Lands near Hendersonville in North Carolina. It also lists eight hikes in upstate South Carolina, an area largely undocumented in other guidebooks. The book was written by Danielle "Danny" Bernstein, a life-long hiker who has hiked the entire length of the Appalachian Trail, summited every mountain higher than 6000 feet in elevation in the Southern Appalachians, and is currently working on becoming a member of the 900 Miler Club, reserved only for people who have hiked every trail in Great Smoky Mountains National Park. Bernstein is also a hike leader for the Carolina Mountain Club, and is a hiking instructor at UNC-Asheville's College for Seniors. She also maintains a 5-mile section of the Appalachian Trail on the Tennessee/North Carolina border for the Appalachian Trail Conservancy. Anyone familiar with the region knows that the mountains of western North Carolina and upstate South Carolina are a hiker's paradise. Rich with human history, they are also home to some of the greatest biological diversity in the world. Hikers here are treated to thousands of miles of trails offering fantastic views, stunning wildflower and fall foliage displays, and gigantic trees in old growth forests. Hiking the Carolina Mountains lists 57 day hikes ranging in length from 2 to 13 miles, with destinations like the waterfalls of Dupont State Forest, the Blue Ridge Parkway's beautiful Craggy Gardens; the ruins of George Vanderbilt's palatial Buck Spring hunting lodge on Mt. Pisgah; and the summit of Cold Mountain. Each entry includes everything you need to know to get out and hike: maps and detailed directions, mileage, elevation gain, trail highlights, fees and hiking regulations, a list of films and novels set in each location, and more. The book also covers sections of the Appalachian Trail, as well as trails in Great Smoky Mountains National Park, Pisgah National Forest, Nantahala National Forest, and in upstate South Carolina. If you would like more information on Hiking the Carolina Mountains, please click here. If you're interested in seeing our full selection of outdoor, hiking, and Smoky Mountain history books, please visit: The Smoky Mountain Day Hikers Store. Great Smoky Mountains National Park, in cooperation with volunteers of the Blount County Experience Your Smokies and the Blount County Sheriff's Office, will temporarily open to traffic the unfinished section of the Foothills Parkway in Blount County from 9 a.m. to 3 p.m. on Oct. 18-19. Park Superintendent Dale Ditmanson said, "People will be able to enjoy spectacular scenery along this 9.5 mile portion of the Foothills Parkway, part of a 72 mile right-of-way concept that parallels the northern boundary of the national park. We are pleased to open this scenic roadway again this autumn, providing an alternate drive for observing leaf color displays. Last spring when we opened it for public viewing, 8,000 people came to drive the route and thoroughly enjoyed the vistas." "Unlike the spring Open House when we encouraged visitors to park at the end of the road to check out the views from the end, this opening period will be primarily a 'windshield tour'," Ditmanson said. "Parking at the end of the road is so limited that trying to accommodate parking with even heavier fall visitation would create gridlock, so motorists will be turned around at the end without stopping," he continued. The segment that is being opened has a gravel surface with no guardrails, striping or signs and dead- ends at the "Missing Link." The "Missing Link" is a 1.5 mile stretch of extremely rugged terrain which is situated almost in the middle of two partially- completed portions of Parkway between Walland and Wears Valley. Motorists will enter the area via the Foothills Parkway interchange off U.S. 321 between Maryville and Townsend (about 11 miles south of Maryville). Hikers and bicyclists will also have access to the area, but horseback riders are prohibited during this period when motorists are traveling the road. Currently, only two discontinuous segments of the Parkway are completed and open: 16.9 miles from Walland to Chilhowee Lake in Blount County and a 5.6 mile portion from Cosby to I-40 in Cocke County. Friends of the Smokies announced today on their website that they will be allocating $15,000 towards the improvement of the Forney Ridge Trail that connects the Clingmans Dome area with Andrews Bald in Great Smoky Mountains National Park. Funds for this project are a result of strong sales from the Friends of the Smokies “black bear” license plates program. Work on the two-mile section of the Forney Ridge Trail will take place in October and November, and will include rehabilitation of several of the worst sections of the trail, as identified in the last comprehensive trail inspection by park staff. The surface of the trail to Andrews Bald is littered with slabs of fractured rock, some of which will be used to build stone steps and waterbars to make the trail easier and safer to negotiate and to reduce erosion. The improvements will also include work on the bald itself in order to reduce impacts from social trails and to eliminate confusion for hikers. This is great news. As I mentioned in my trail report, anyone at all familiar with this trail knows that the rocky terrain and a seemingly constant flow of water on the trail can make this a fairly rugged hike. The project is part of a major new trails initiative being developed by the park and Friends of the Smokies. Anyone interested in volunteering to help with the trail improvements should contact Volunteers-in-Parks Coordinator Jeremy Sweat at 865-436-1711 or you can email him at: Jeremy_Sweat@nps.gov. The trail will remain open to the public while the rehabilitation work takes place. Shenandoah National Park will honor America’s wilderness heritage during its 8th annual Wilderness Weekend, October 18 - 19, 2008. This year commemorates the 32nd anniversary of Shenandoah’s wilderness designation. Forty percent of the park, or almost 80,000 acres in Shenandoah were designated as wilderness by Congress in October 1976, representing one of the largest wilderness areas in the eastern United States. Wilderness areas provide sanctuaries for human recreation, habitat for wildlife, sites for research, and reservoirs for clean, free-flowing water. More than 107 million acres of public land are currently protected in the National Wilderness Preservation System. Wilderness Weekend is a partnership between Shenandoah National Park, the Potomac Appalachian Trail Club (PATC), and the Shenandoah National Park Association (SNPA). PATC volunteers will be stationed at several overlooks along Skyline Drive to share information about Shenandoah’s wilderness with visitors enjoying the park’s fall foliage. On Saturday, volunteers from the Society of American Foresters will also be at overlooks sharing information about forest conservation. Visitors will be able to celebrate wilderness by viewing Shenandoah’s wilderness from Skyline Drive, hiking one of the many trails, joining a ranger program, completing the new Wilderness Explorer Ranger Activity Guide, or exploring a visitor center exhibit. Two special events will take place at the Byrd Visitor Center at milepost 51 on Skyline Drive. The first event will be a traditional tool display and demonstration from 9:30 a.m. to 4:00 p.m. each day. Shenandoah National Park Trail Crews and PATC and SNPA volunteers will share their expertise in the traditional tools used to maintain trails in wilderness. Visitors will be able to try their hands at using these tools and gain insight on the important role trail maintenance plays in protecting wilderness for future generations. The second event will be a series of 20-minute ranger programs held at 11:30 and 3:30 each day. These programs will explore the history and values of Shenandoah’s wilderness. Visitors can also explore the history and meaning of wilderness through a computer touch screen exhibit, “The Spirit of Wilderness.” A newly released film narrated by Christopher Reeves, American Values: American Wilderness, will also be available for viewing upon request. The Undying Past of Shenandoah N.P. Originally published in 1913, Our Southern Highlanders is a true classic written by the man most responsible for the existence of Great Smoky Mountains National Park. Although he wasn’t a native of Appalachia, Horace Kephart was recognized as an authority on the cultural and natural history of the region. Using his abilities and reputation, Kephart was instrumental in convincing individuals on both the local and national levels of the need for the creation of Great Smoky Mountains National Park. Kephart’s arguments on behalf of the park were thoughtful and pragmatic, as well as appealing to the love and appreciation of nature. Describing the economic potential of a national park, he campaigned vigorously to preserve the last major stands of forests in the East. He describes in detail what gave the mountaineers their character and their fierce individualism, and relates many stories, both tragic and humorous. A contemporary review from the New York Times reported that the book was the first serious and comprehensive study of the region. Two months before his life was cut short by an automobile accident in 1931, the U.S. Geological Board recognized Kephart’s contribution by naming a peak within the park Mount Kephart. This was an honor that had been previously bestowed only after an individual’s death. If you would like more information on Our Southern Highlanders, please click here. At least that's how the Discovery Channel is describing the annual 1151-mile Iditarod Trail Sled Dog Race. Beginning on October 14th, the Discovery Channel will follow 8 of the 96 teams that competed in the 2008 Iditarod Race. This is a six-part reality type show that will air on Tuesday nights at 10 p.m. EST. The Iditarod series was produced by the same people who produced the highly successful "Deadliest Catch" series on the same channel. Teams that compete in the Iditarod attempt to traverse more than a thousand miles of the most inhospitable terrain on the planet, including icy tundra, jagged mountain ranges, dense alpine forests and windswept coastlines. With 12 to 16 finely tuned dogs working as the engine, mushers play a disciplined game of strategy in order to be the first to the finish line in Nome, Alaska. The series follows both rookies and race legends, including four-time Iditarod Champions Jeff King and Martin Buser. The Iditarod Trail is steeped in history. In 1925, part of the trail became a life-saving highway. Mushers and their dog teams were called upon to bring serum to epidemic-stricken Nome and save the town from Diphtheria that had overtaken it. The Iditarod Race is a commemoration of those brave and legendary mushers and their faithful dogs. AWOL on the Appalachian Trail is the highly aclaimed book about David Miller's adventures on the Appalachian Trail. Out of 51 reviews the book has received on Amazon.com, 45 of those were 5 star-reviews. The author states that he didn't write AWOL on the Appalachian Trail because he is an expert on backpacking. Nor is AWOL a "how-to" book. Rather, he explains, it's attitude that moves hikers from Georgia to Maine. The book is more concerned with the vivid scenery and the authors social interactions with the people he meets along the way. Miller takes the time to explore topics such as facing challenges, staying motivated and finding fulfillment. In 2003 David Miller, a 41 year-old engineer, quit his job to backpack 2172 miles from Georgia to Maine. His story is told here in Awol on the Appalachian Trail, an outstanding contemporary account of hiking on the A.T. It provides a vivid description of the Appalachian Mountains, the small towns threaded together by the trail, and people met along the way. Abundant photographs complement the book's exacting prose. This book puts the reader into the shoes of the long distance hiker, and draws parallels between lessons learned on the trail and challenges of everyday experience. It is entertaining and funny, insightful and informative. It is about liberation, motivation and perseverance. This book is for anyone who has ever wanted to break free from routine, anyone with a desire for adventure. If you would like more information on AWOL on the Appalachian Trail, please click here. If you're interested in seeing our full selection of outdoor, hiking, and Appalachian Trail books, please visit: The Smoky Mountain Day Hikers Store. Nature Valley and the American Hiking Society have recently announced 20 nonprofit organizations from around the country that were named as finalists for Save the Trails funding. Save the Trails, in cooperation with the American Hiking Society National Trails Fund, will award $5,000 to each of the top 10 finalists, based on online votes, to restore and revitalize hiking trails in their communities. Voting is open to the public now through Oct. 31, 2008. Nature Valley launched the Save the Trails grant program in June 2008 and contributed $50,000 to double the size of American Hiking Society's National Trails Fund. Save the Trails funding recipients will be announced in April 2009 and all funds are to be used toward trail restoration during the summer of that same year. Win an Adventure Trip with the "Gear Junkie"
Check out the Gear Junkie web site for a chance to win a winter weekend adventure trip sponsored and run by REI Adventures. You and your guest will also receive airfare, and all the latest outdoor equipment and apparel needed for your trip, courtesy of REI. The contest runs from now through December 17th. To sign up, simply click here and fill out the online form, and you'll be entered to win. You'll be acompanied on the trip by Stephen Regenold, also known as the Gear Junkie, a nationally-syndicated travel adventure and outdoor newspaper columnist.